Untitled #14 (Site of John Brown’s Tannery), 2017. These words spoke to African-American photographer Dawoud Bey, the recent recipient of a MacArthur genius grant. As Bey approached his 60th birthday, he decided to make a fundamental change in his work. Moving away from the urban scenes of and people that had documented for over four decades, as magnificently catalogued in the new monograph, Seeing Deeply (University of Texas Press), Bey began a new series of work that offered the artist a new way of exploring Black history through the photograph. In Night Coming Tenderly, Black, now on view at the Art Institute of Chicago through April 14, 2019, Bey imagines what American landscape looked like under the cover of night to those who followed the Underground Railroad to freedom in a series of 25 prints. His photographs, a lush symphony of blacks on blacks, pay homage to the work of Roy DeCarava (1919–2009), whose mastery of dark tones illustrates the exquisite sensitivity to his subjects, who have largely gone unseen or overlooked. In reimagining how the American landscape looked to those fleeing slavery, Bey invites us to consider the story of this nation from the perspective of those who built it. Here, Bey shares his journey. Untitled #2 (Trees and Farmhouse), 2017. Could you speak about the inspiration for this body of work – what lead you to reimagine and evoke the experience of traveiing the Underground Railroad through photographs? “Night Coming Tenderly, Black was commissioned by FRONT International: Cleveland Triennial for Contemporary Art, where it was shown for the first time in a site specific installation in St. John’s Episcopal Church, which is a significant Underground Railroad related site in Cleveland. “Because the work was to be exhibited initially in Cleveland, I wanted to make work that related and responded directly to the region while also continuing the exploration and engagement with African American history that I began with The Birmingham Project in 2013. The exhibition of the work at the Art Institute of Chicago marks the first time they are being exhibited in a museum setting. 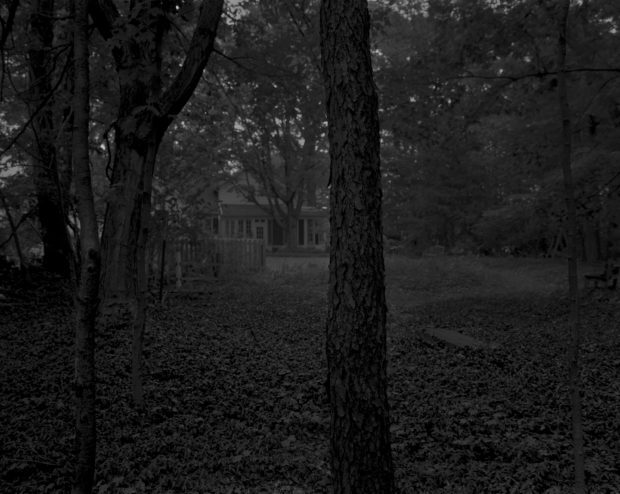 “While the project is not a literal documentation of Underground Railroad sites, but a reimagining of that landscape, I did want to photograph in proximity to where some of those sites are believed to have been, and occasionally where some of those sites–such as the past location of John Brown’s saddlery–were known to have existed. Could you speak about the absence of people in this series of work creates a first-person point of view, as though you are standing in their stead, and by extension, we too? 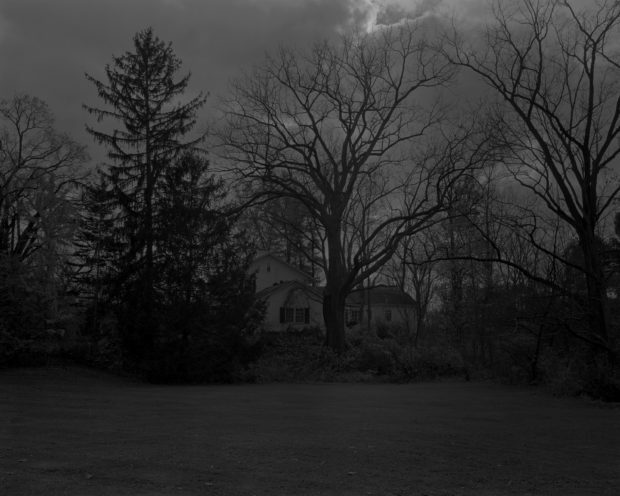 “The photographs are meant to evoke the feeling of what it might have both looked and felt like for those fugitive black bodies moving through the Ohio landscape. 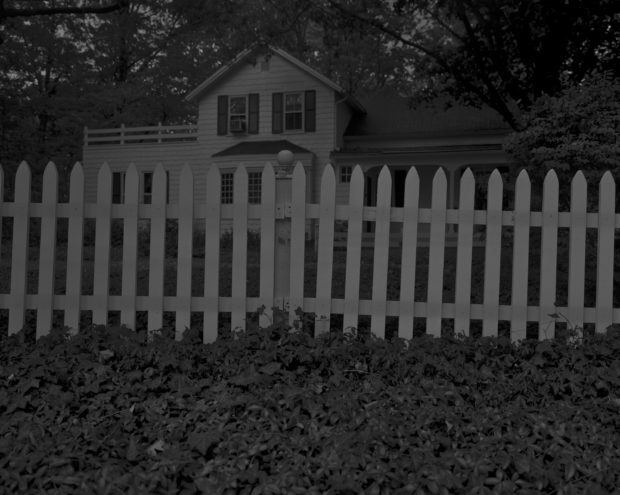 I want the vantage point of the photographs to suggest what they might have seen, and what that landscape might have felt like; to cling closely to the side of a house that is an Underground Railroad ‘station’ so as not to be fully exposed, and to have to negotiate the shifting and sometimes difficult terrain. 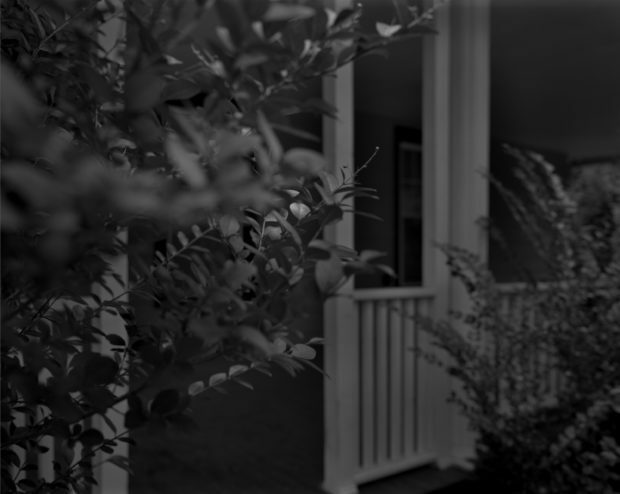 Untitled #4 (Leaves and Porch), 2017. 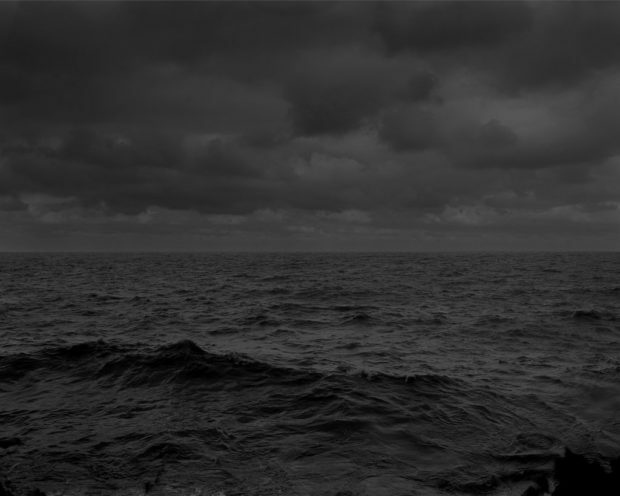 Could you speak about rendering the American landscape as a symphony of black on blacks, both aesthetically and metaphorically? “When one speaks of the black subject realized in the form of the deep, rich black tonalities of the photographic print, the person that comes most immediately to mind for me is Roy DeCarava. On a material level my photographs are a kind of homage and conversation with to his work, while extended that tradition of a rich material. DeCarava spoke of his work as a place where he could reveal, ‘a world shaped by blackness.’ I wanted to take that as a point of departure, referencing both the black subject, and the blackness of the landscape that those fugitive black bodies were moving through. Could you speak about the way this body of work becomes a wordless narrative for the unrecorded details of the Underground Railroad? 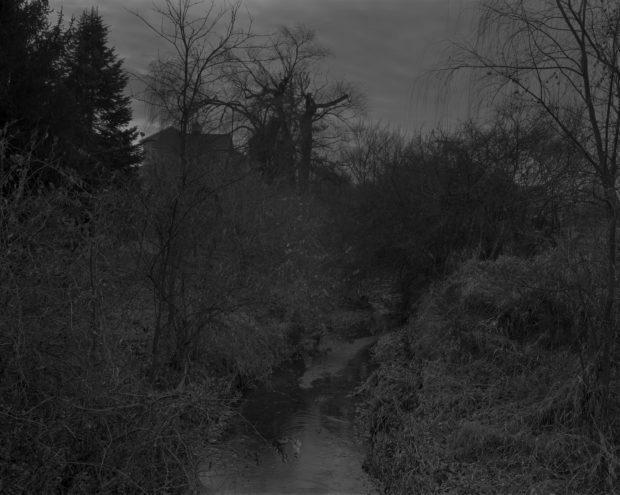 Untitled #18 (Creek and House), 2017. Untitled #25 (Lake Erie and Sky), 2017.